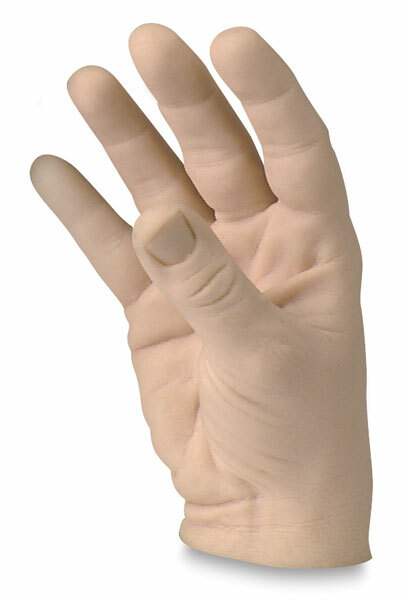 Rubber-like castings of actual human male specimens. Encased wires allow bending fingers to create gestures. See fine, life-like details-—each natural crease and fold is there. Small and large right hands.